Videx Security has appointed a new Regional Sales Manager for the London and South East region. 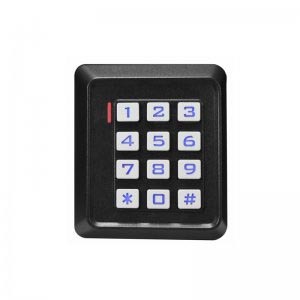 Mabs Alam has vast sales and management experience and understands the access control and door entry market well. He takes on the role to help drive business opportunity and growth specifically in the South East region including London. Mabs will be focused on generating new business opportunities as well as maintaining positive relationships with existing customers. Mabs’ role is heavily proactive and sales focused where a lot of time will be spent cultivating new and existing relationships with a wide range of installers, consultants, surveyors, developers and architects across key sectors for Videx including local authorities, housing associations, schools, hospitals and universities. Videx, in partnership with Enterprise Security Technologies, has successfully installed a complex door entry management system at Connaught House, which provides private residential housing and commercial offices in the heart of London. 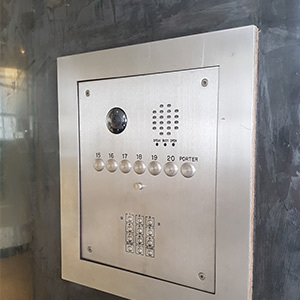 The key access control requirements was to provide a secure easy-to-use system with 24-hour video door entry to visitors, providing a clear image of the person arriving. The door entry panel also had to be designed to specific requirements so that it could be easily installed into the existing environment. 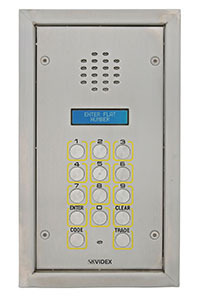 Enterprise Security Technologies, working closely with Videx, recommended and installed the Videx flagship VX2200 digital door entry system to ensure the security of the apartments and building but also allow easy and convenient access as well as 24-hour contact with a concierge and security team. 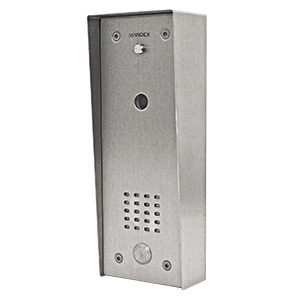 For more information about the door entry systems Videx makes specifically for commercial and residential properties, please visit: www.videxuk.com or call 0870 300 1240. 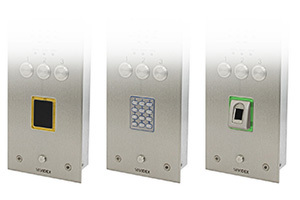 Videx has introduced an internal video door entry panel to the access control market. The KR-AV offers individual residential apartments a door entry solution for visitors who have already gained access to the communal main building. 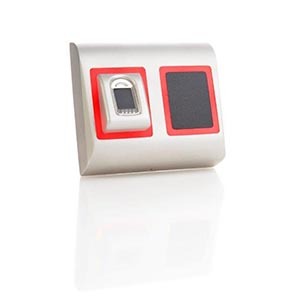 The KR-AV enables an additional entry point outside individual apartments so residents can see the visitor on their videophone, talk to them and grant or deny access. The KR-AV is available as a flush mount internal video door entry panel available in white (KR-AVW) or black (KR-AVB) finishes or a surface or flush vandal resistant entry point. 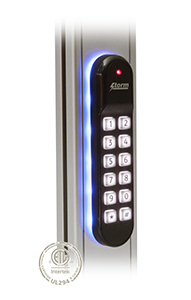 For use with the VX2200 system, the panels can be used either standalone or as part of a larger system where each individual apartment also needs a local entry panel next to their front door. Features include an integrated colour camera and call button. The internal units also include a service button (to switch on a light or other service) and a coded keypad for resident access control. Videx has introduced a new distribution unit, the 316C, for its digital VX2200 range of door entry video systems. 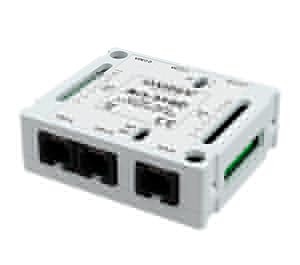 The distribution box makes it easier for video systems to be installed, designed specifically for use with Cat5/Cat6 cabling which is becoming an increasingly popular cable choice for video entry system installations. 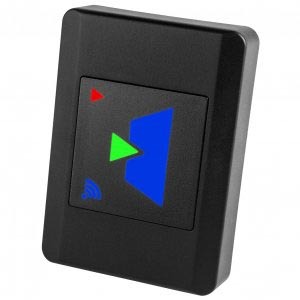 Videx has introduced a range of new features to its popular Portal Plus range, the door entry provider’s networkable access control system that supports proximity, keypads and bio access readers. 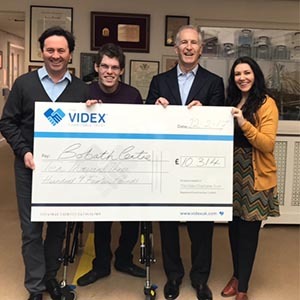 The Videx Charitable Trust, established by Videx Security, recently donated £10,314 to The Bobath Centre for Children with Cerebral Palsy. The charity is a specialist treatment centre that aims to improve the quality of life for children so that they are healthy and active, and can participate in everyday life to the best of their ability. 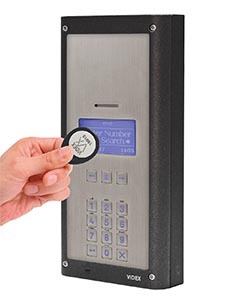 New System Comes with Integrated Proximity Access Control and Coded Access. 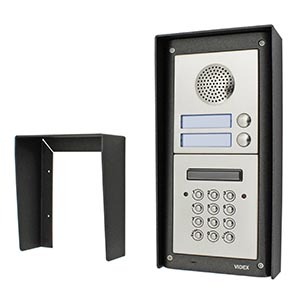 This month, Videx launched its new digital GSM system that can provide access control to a wide range of gated properties, office blocks, apartments and commercial buildings. Videx has introduced a range of rain shields for its popular Videx 4000 series modular door entry range. 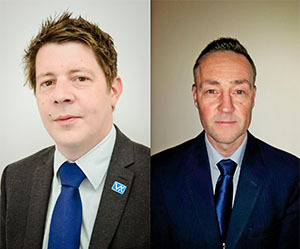 Videx, the experts in door entry and access control, have appointed new sales managers to drive business opportunity and growth in key areas across the UK and Ireland. Videx, the experts in door entry, has recently fitted out a large scale student accommodation development in partnership with Welsh installation company Protectorcomms for Cardiff University students. The development consists of 320 apartments as part of an ongoing accommodation project, which is designed for those who have chosen to live and study in Cardiff City. 26 October 2016: Videx, the door entry experts, has enhanced its vandal resistant door panel range by including a new range of proximity, finger print and coded access readers.